The bean stalks are growing! Year 1, as part of their Giant theme, and linked to their Jack and the Beanstalk work, have planted their own beans…..and as if by magic they have been growing madly. I'm sure that many of you have spotted them. 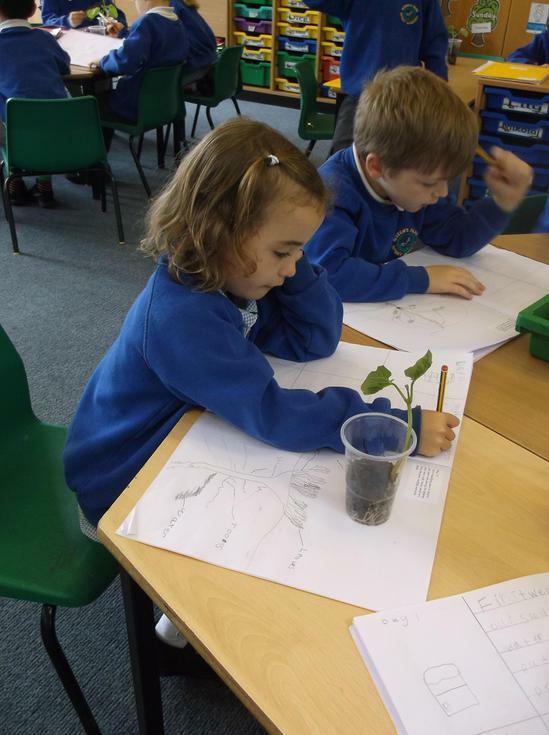 In Foxes, as in all the classes, there has been much awe and wonder as the children have watched the beans grow. 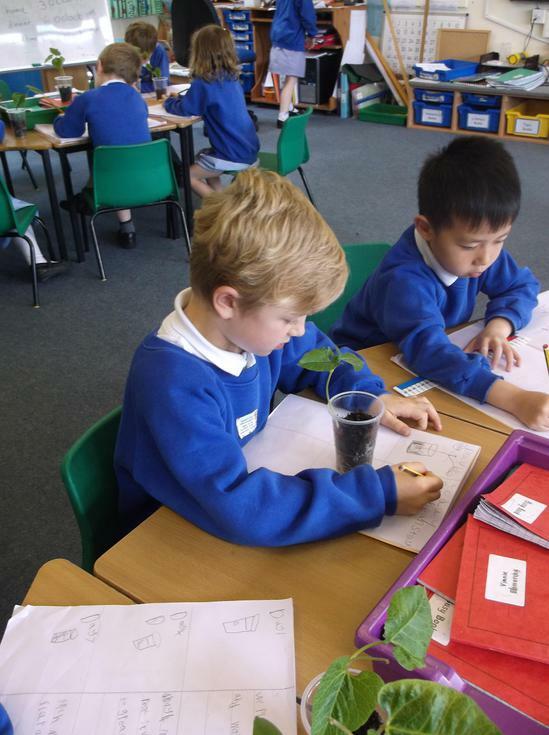 All the children have been keeping their own bean diaries and have been observing their own plants and measuring the length of the stems. They can’t believe how tall they have got in such a short time. The plants will now be coming home and we all hope that they will continue to grow! Do let us know. "When I came in one morning I was so amazed by how much it had grown through the night. I was quite shocked!" Maya.